Home » News & Blog » Blog » Can vacuum pressure limit brain damage after a traumatic brain injury? In the aftermath of a traumatic brain injury (TBI) researchers have found that the application of mild vacuum pressure over the injured area of the brain shows promise as an effective TBI treatment. An experimental study published in the Neurosurgery, the official journal of the Congress of Neurological Surgeons, claimed that the controlled application of vacuum pressure could limit tissue damage after a TBI. The research carried out by Dr Argenta, Dr Morykwas and co-investigators of Wake Forest University of Health Sciences, consists of vacuum pressure being applied over the injured area of the brain, known as ‘mechanical tissue resuscitation’. For the study, which was funded by a grant from the US Army, the researchers tested the theory by inducing localised TBI in pigs. They then applied a mild vacuum over the injured area. The researchers studied the effects of various levels of pressure, 50 or 100 millimetres of mercury (mm Hg), different application times (three or five days), and various delay times, up to six hours. Results showed that applying 100mm Hg of pressure for three days led to a significantly smaller area of contusion and reduced bleeding, compared to less or no pressure. 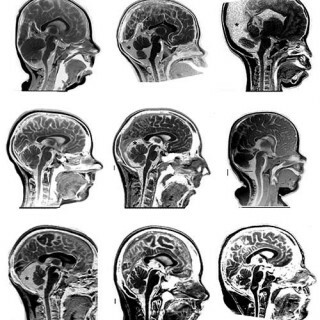 MRI brain scans revealed a more ‘normal’ appearance of the brain in those animals that were vacuum treated. This was later confirmed by examination of the brain tissues. Those animals that received five days of treatment all survived, whereas only half of the pigs survived when given only three days ‘mechanical tissue resuscitation’. Comparing the delay of treatment when received straight away or after three hours, the response was about the same. The study showed that the vacuum appears safe and has not been shown to cause the development of epilepsy or brain deformation. Following a traumatic brain injury, reduced or impaired circulation and accumulation of metabolites and water in the area of injury can lead to progressive secondary injury and brain cell degeneration. The treatment has evolved from the successful use of negative pressure, vacuum, to aid healing in other types of wounds. Drs Argent, Morykas and colleagues have carried out previous studies and found benefits of controlled vacuum application to areas of TBI in rats. The purpose of the new study was to evaluate the safety and effectiveness in a large-animal model more akin to the human brain with TBI. It is, however, unclear exactly how the treatment works to reduce the area of tissue damage. It is thought that it may work by increasing blood flow to the damaged tissue, promoting oxygenation, nutrient supply and removal of waste products. The researchers believe that, because the effects of the treatment are mechanical, it may be beneficial to use the procedure in connection with other treatments. The study could have huge implications for how brain injuries are treated in the future, but it is at the very early stage of testing and human testing is a long way off. Vacuum: a state of very low pressure. Metabolities: a substance necessary for or taking part in a particular metabolic process.